I could be more faithful. I know now that it is time for me to go deeper, because my proffer of surrender and the worship I currently render is no longer enough. It does not fill me. I desire more. I continue to be plagued by a capacity conundrum. Simply put, I don’t stop when I should. I don’t quickly enough release my feeble hold on things beyond my control. I so admire people in my life who embody the Peace that passes all understanding, but that’s just not me yet. This is my struggle; when God blesses you with ability, there is a natural breaking point at which you should surrender. My failure is hubris. It is an expression of prideful humanity, and it costs me every time. I need to lean on God. From the beginning. Not at my point of weariness, or when I’m struggling just to stand. Let me tell you what back spasms WILL teach you about Grace. Author Lysa TerKeust’s words across a Facebook page stunned me into hopeful stillness. 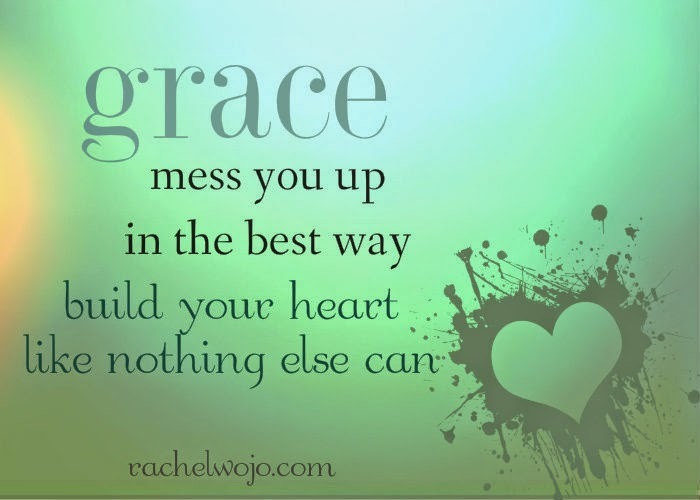 What will back spasms teach you about Grace? Hopefully, one lesson is enough. I've found each time I start to get stressed and anxious, if I pause and start whispering, "Jesus, help me," my pulse slows and I can think more rationally. Our souls were designed to recognize and respond to the name of Jesus. By the time the spasms arrived, I was broken again, but this time something was different. For the very first time, I stopped thinking first about my brokenness and started focusing on praise. What will back spasms teach you about Grace? They will teach you that praise is a weapon. They will teach you that praise resets a human inclination to focus on problems you cannot solve in favor of doing what you were created to do. We were designed to praise and worship God. It was never about us; it was never intended to be. And once I was able to move myself out of my own way, it wasn’t the circumstances that changed, it was me. I am changing. Once upon a time I asked myself, what I wanted more of in my life. Once upon a time I asked God to enlarge my territory. In answering that prayer He walked me away from the ashes of my former self and into the new land He lays before me. My more is new land, different land. My land is seeing beyond the wilderness in which I have spent far too long as I await His direction into my spacious place. A place where I yield before it is time. A place where I bow down in worship before the weight of my burdens drives me down to my knees, not in prayer but in searing pain; in spasm. My more is bigger faith. My desire for bigger faith requires that I lean, wholly lean on God. From the beginning. What will back spasms teach you about Grace? Everything you need to know. Hopefully, one such lesson is enough.